© Copyright 2010-2019 Airplane Games HQ. All rights reserved. 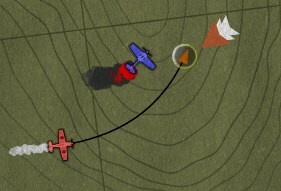 Welcome to AirplaneGamesHQ.com, we feature the top online games that put you in the cockpit of airplanes. All of our airplane based games are free to play directly in your browser. From airplane flying and simulation games to airport control games, we've got an airplane game to keep you entertained for hours.